Roj Dae-pa-Din Mah Ardibehest, 1380 Yz. The centuries after the Islamic conquest of Iran were a period of untold hardship for the few Zoroastrians who refused to convert to the new religion. In these forgotten years, unbelievable levels of persecution, torture, exploitation and debasement were meted out to our ancestors. In the 16th, 17th and 18th centuries, these atrocities surpassed earlier levels. There was a real danger that not only the few Zoroastrians who existed in Iran, but also the valuable and most important few Atash Padshahs and their lifeline – the Pav Mahel, were in distinct danger of being obliterated. Readers of Frashogard are aware that the Atash Padshahs are not mere fires kept burning in grand buildings. The majestic stature of these Padshah Sahebs, their attendant Pav Mahel and the universal benefits that they provide have been amply explained in earlier posts. Thus when a real danger arose, that these spiritual institutions were in danger of being compromised, or worse, extinguished, the unseen forces who protect and preserve our religious institutions – the Abed Sahebs of Demavand and other such sacred areas, devised and formulated an intricate plan to not only safe keep the precious Pav Mahel of Iran, but also to spread its benefits to another geography where Zoroastrians had settled after their last kingdom has fallen in the 7th century after Christ – India. The Zoroastrian residents of Iran had become aware that a few of their brothers and sisters had moved out of Iran long ago and settled on the shores of western India, where they had, despite all odds, survived and even prospered. In the 16th and 17th centuries, an exchange of priests and laymen alike had began to occur between India and Iran. While these exchanges gave much to learn to both communities, soon problems began to arise. Mobed Jamasp Vilayati arrived in 1720 from Iran and settled in Surat. Over a period of time he realised that the calendar the Parsis of India were following was exactly one month behind the calendar and dates the Iranian Zoroastrians were following. Convinced that the Parsis of India were wrong, Mobed Jamasp started actively propagating his view that the Indian Parsi calendar should be rectified and brought in sync with the Iranian one. No one paid much attention to him, until he was joined by another Iranian priest, Mobed Jamshed Vilayati, who arrived in Surat and Bharuch in around 1744. Under his guidance and leadership, on 6th June, 1745, a group of poor Parsis in Surat began following the Iranian calendar. Soon some priests followed suit and thus began the Kadmi sect in India. This event provoked a violent reaction in all centres where Parsis had settled and the controversy raged. In all this commotion, a leading Parsi businessman from Surat decided to finance a fact finding mission to Iran, led by a wise and capable person. The mission was to travel to Iran, meet the learned priests in the various cities of Iran where Zoroastrians resided, gather all the relevant and correct information and come back and end the controversy for good. This wealthy businessman of Surat was Seth Dhunjishah Manjishah, who was not only the chief agent of the British in Surat but also ran a flourishing trade business with China and Mumbai, owning several ships and sailing vessels. In around 1733, a son was born into one of the oldest priestly families of Bharuch, to Ervad Rustam Bharuchi, who named him Kavas. This son showed a sharp intellect and aptitude for learning at a very young age and soon became proficient in Gujarati, Farsi, and Arabic languages and also excelled in astrology. In addition, Kavas showed a distinctly pious bent of mind and lived a very simple life, steeped in prayers and solitude. In due course he married and begat a son, called Peshotan. With his innate knowledge of astrology and Rammal (the science of divination using special dice), Ervad Kavasji realised that some big changes were going to occur in his life. In addition, young Peshotan’s horoscope showed that he would become an illustrious personage should he spend his childhood out of India. In 1767, the Kadmi-Shahenshahi controversy was at its fiercest and Seth Dhunjishah Manjishah (who had also become the leader of the Kadmi sect in Surat) was looking around for a person who would carry out his mission to go to Iran and settle the issue once and for all. Seth Dhunjishah’s attention was drawn to Ervad Kavasji Rustamji and his learning and piety. On the request of the wealthy Seth, Ervad Kavasji came to Surat and after listening to Dhunjishah, agreed to go to Iran and do the needful. Keeping his astrological predictions in mind, Ervad Kavasji requested Seth Dhunjishah to allow him to take along his young son Peshotan, who was just 8 years old. The Seth agreed and soon preparations began for the long and very risky voyage to Iran. A set of horses and other accompaniments were arranged for Ervad Kavasji and young Peshotan, and finally on 29th March, 1768, the father-son duo left Surat and began their slow journey to Iran, via Kutch, Karachi and Afghanistan. In order to remain safe from the many dacoits and plunderers on the way, the father and son got hitched on to a very large trading caravan heading to Iran. This caravan was headed by a Muslim Arbab (wealthy Iranian trader. The Iranian word Arbab is akin to Gujarati Seth) who was a close friend and courtier of the Iranian Shah, Muhammad Karim Khan Zand (1705-1779) whose picture is given below. Sometime during the journey, the young son of the Arbab who was heading the caravan fell seriously ill. Despite the best efforts of the Hakim who accompanied the caravan and other remedies, the son’s health deteriorated further. At this point, someone drew the attention of the Arbab to the fact that a Zoroastrian priest was following the caravan and maybe he could help. Despite the natural animosity towards Zoroastrians, the Arbab was desperate to save his son’s life and agreed to take the Mobed’s help. The caravan stopped and Ervad Kavasji was called into the Arbab’s tent to see if he could help the son. Through the power of his piety, his own destiny and the effect of Avesta prayers, Ervad Kavasji was inspired to recite the Nirang of the Ardibehest Yasht, moving his handkerchief over the boy’s body, from head to toe. To the amazement of the Arbab and his relatives, who waited outside the tent, the high fever of the boy soon fell and he pretty much recovered completely. After a long journey, the caravan finally reached Iran. The grateful Arbab introduced Ervad Kavasji to Muhammad Karim Khan Zand and recounted his exploits. The Shah was pleased with the account and bestowed on Ervad Kavasji the title of Mulla – the learned one – given only to Muslim clerics. In Farsi, the correct pronunciation of the name Kavasji is Kaus, and therefore, Ervad Kavasji began to be called Mulla Kaus Rustam. Soon father and son moved to Yazd, the stronghold of Zoroastrianism in Iran and began their studies there. As per the astrological predictions, young Peshotan began to excel in his studies and in prayers, and soon he became Navar and Maratab, in the Iranian manner, on 8th November, 1771. In this way, the breath of the divine Pav Mahel of Iran entered and joined the life breath of young Peshotan. As his brilliance grew, Ervad Peshotan began entering into debates with Muslim clerics. In one such debate, he defeated the gathered Muslim clerics in such a comprehensive manner that he was given the title “Feroze” – victorious. In this manner, Ervad Peshotan gave up his birth name and began to be called Mulla Feroze, the victorious son of Mulla Kaus Rustam. As their name and fame spread wide, the Iranian Zoroastrians added one more title to Mulla Kaus Rustam – “Jalal “ – one well renowned. Thus Ervad Kavasji assumed the full title of Mulla Kaus Rustam Jalal. To add to all these troubles was the crippling Jizya tax – a tax to be paid to be allowed to follow the Zoroastrian religion. There was no proper formula to arrive at this penalty and it all depended on the local chief’s mood. The amount could increase in multiples, even after being paid and any property of the Zoroastrian could be confiscated. Not only that, Zoroastrian women suffered terribly under these rules and would often give up their lives rather than lose their honour and dignity. It is my earnest appeal to Parsi ladies today who give up wearing their Sudreh and Kusti in order to fit in to the most immodest clothes at our Navjotes and weddings to remember the screams and terror of their own ancestors who were raped and murdered for daring to wear the Sudreh and Kusti. All this suffering was witnessed by Mulla Kaus and his son and they decided to do something about it. Keeping in mind the good relations they had established with the Shah Muhammad Karim Khan Zand, Mulla Kaus sought a meeting with the Shah. At this meeting, Mulla Kaus used his influence on the Shah. Through his great piety, distinguished scholarship and accumulated wisdom, he impressed upon the Shah the need to stop levying this unjust and immoral tax. It is to the credit of this great Dastur, that Karim Khan Zand agreed and the Jizya tax was abolished in Iran for Zoroastrians. A short time thereafter, Karim Khan Zand passed away in 1779. The Zoroastrians of Iran grew uneasy as their future seemed uncertain once again. Meanwhile Dastur Mulla Kaus realized that he would have to move fast before the absence of law and order made his journey to India impossible. 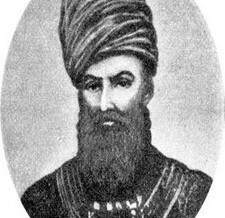 Having fulfilled his mission of acquiring knowledge, having established the star of his son, having collected the Pav Mahel of Iran in the breath of Mulla Feroze and accompanied by many precious manuscripts, implements and secrets, Mulla Kaus began his return journey to India, eventually arriving in Surat on 9th February, 1780. Unfortunately the happiness in Yazd was short lived. Having weak heirs, the monarchy was in distress, until finally the Qajars took advantage of the vacuum and made an attempt on the throne of Iran. The Zoroastrians of Yazd decided to oppose the Qajars in remembrance of Karim Khan who had lifted the Jizya. But the Qajars succeeded and Muhammad Khan Qajar was established as the new Shah of Iran in 1796. To thank the Zoroastrians for their effort to block his progress, Muhammad Khan laid siege to Yazd and after many days mounted a bloody massacre, in which he collected and blinded 20,000 Zoroastrians. He would go ahead and replicate such acts elsewhere to earn the honour of being one of the cruellest kings to ever rule Iran. We shall continue with the life of Mulla Kaus and Mulla Feroze in the next post. Many thanks for putting this very informative post up for everyone to view. I have married into the Mullanfiroze family and was aware of this story through my husband – but had not read it anywhere till date. Many thanks once again and may god bless you! Eagerly waiting the next post. Thank you so much for sharing this beautiful article.No matter how much we do for our community, it will always be nothing compared to what our forefathers had done. Hats off to them. Regarding the “Ithoter (78 in Gujarati) Revayet, can you throw some light on them. Kindly suggest the way to download Khshnoom Articles. I get the message the server is not working everytime. Edward Hathiram Saheb thank u for the lovely article. May every Zarthosti read this article to his her child, so that they think twice before marrying outside the community. There should be a call for all Parsee couples to have at least three children for our community to grow. Thank you. Thank you for the excellent article on the Great Dasturs and also an insight of the times they lived in. I wish a photograph of Dastur Mulla Kaus was also included. Just one correction. In part one, 2nd last paragraph states that… Mulla Kaus began his return journey to Iran, (should be India) eventually arriving in Surat on 9th February, 1780. Thank you for pointing out the error. I have corrected the same in the post. Unfortunately, despite searching in quite a few places, I have been unable to procure a photograph of Dastur Mulla Kaus. None of the Kadmi Atash Behrams in Mumbai have his portrait, all have the image of Dastur Mulla Feroze. My great-great-grandfather Mulla Firuz abne Kaus (“abne” meaning “son of”) was not born in India. He was born in Shiraz. At the age of 12 he travelled to India with his father Mulla Kaus Rostam Jallal. These facts can be verified through Mulla Firuz’s publication The Pandnameh. Father and son returned to Iran with 100 questions for the Zarthoshti Dastoors to answer and then returned to India to deliver the results. Mulla Jallal owned cattle, sheep, goats, orchards, vineyards in Shiraz and rice fields in Shomal (the North of Iran around the Caspian sea). My great-great-grandfather dedicated the translation of the Desatir to Brigadier-General Sir John Malcolm, which led to a sincere friendship between the two individuals. As stated in the dedication, Sir Malcolm was the “Late Minister Plenipotentiary to the Court of Persia”. I was not aware of this fact at the time I named my son “Malcolm”. It was a pleasant surprise when I tracked down a copy of the Desatir in Holland and read the dedication page. I possess the original 1888 version of the Desatir. The very original 1818 version is housed in the Library of Congress in Washington DC. I intend to seek help from the World Heritage organization to move the contents of the Mulla Firuz Library located in a wing of the K.R. Kama institute to a location that will provide a climate-controlled environment to protect its many artifacts. I thank you whole-heartedly for carrying Mulla Firuz’s pictures on your website. I would like to know how did the Kadmi Khordeh Avesta come into existence?I understand the difference or Roj /Mah but my question is on the Kadmi Khordeh avesta ? WHy was there difference in prayers Of kadmi sect and who took out the Kadmi prayers like as per shenshai adarband marespand saheb wrote many of our pazand prayers . Who designed the kadmi prayers as there is a lot of difference in recitation.